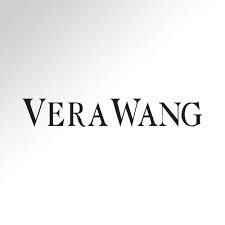 Finding just the right ring is very important if you are planning on asking someone to marry you. With so many styles to choose from, it can be a difficult decision to choose a ring. if you want a beautiful ring for your love, then any one of these 10 unique oval engagement rings might be an ideal choice for you. These rings would look lovely on any womans finger, and she’s sure to be thrilled when you hand her your choice. 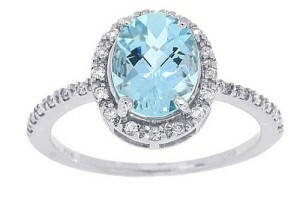 The serene cool beauty of an aquamarine oval cut ring will shimmer on any woman’s finger. This unique choice for an engagement ring can be found in solid 14k yellow gold as well as silver and sometimes hypo-allergy choices such as steel. Rings come in designs with round accent diamonds. Some designs swirl around the stunning center stone with the accent diamond surrounding the gemstone with a curved gracefulness. Aquamarine is a beautiful birthstone that will look stunning on any lady’s finger. 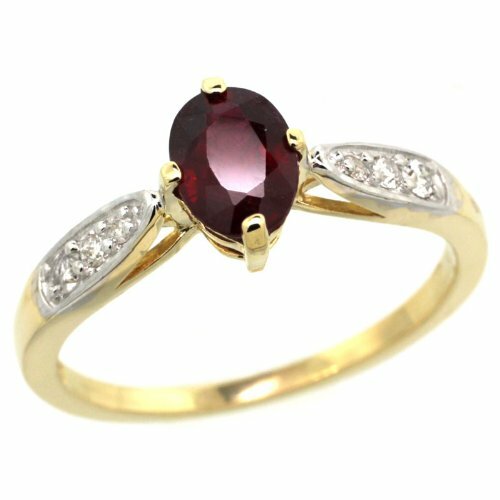 For a bold, attention grabbing engagement ring, you may choose a deep red ruby as the center oval cut gemstone. The simple style shines with taste. One unique style of oval ruby engagement ring has three small, round accent diamonds on each side of the center stone, surrounded by white gold. Ruby engagement rings come in 14k yellow or white gold and sometimes silver as well. Stones can be small or large and can feature a single stone or multiple smaller ones. A morganite gemstone makes a breathtaking engagement ring. You can find this magnificent gemstone in designs of white gold with a halo of accent diamonds for a truly stunning ring. 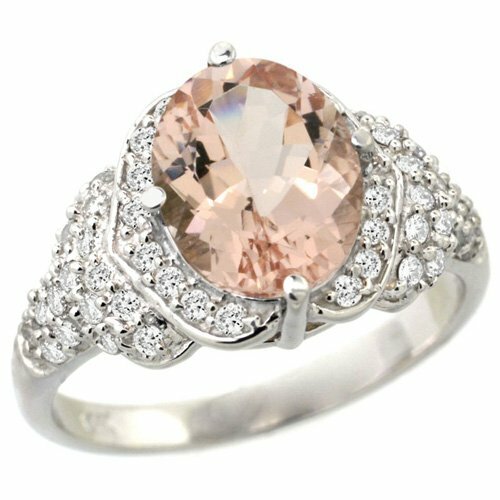 This peachy-pink colored gemstone can range in color from peach violet pink and provides an exquisite choice in an engagement ring. Morganite is beautiful and perfect for the feminine lady who likes pink! The elegant beauty of a bright blue sapphire will glow on any lady’s hand and is sure to win her heart. The gemstone makes a sophisticated and dazzling engagement ring and is perfect for the woman who likes the color blue. 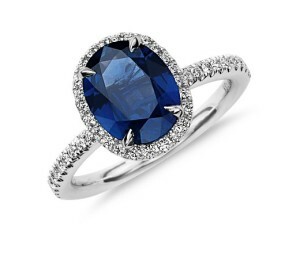 Designs include diamonds surrounding the blue stone, an accent diamond circle around the band adding more sparkle, or a simple centerpiece of sapphire. 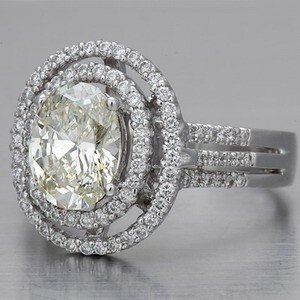 This stone makes a simple setting look luxurious so choose a style you can afford. 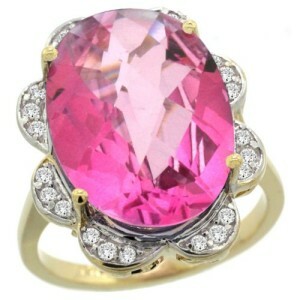 A pink topaz center cut stone will catch the eye of anyone who glimpses it on your love’s finger. The clear pink of the stone can be found with designs of sets of accent diamonds, clustered in threes, around the stone.You can find the beautiful pink topaz in yellow or white gold. This stone will give any engagement ring a unique look and is perfect for the feminine lady. Choosing a ring with an oval green amethyst stone is a wonderful option for many. The green gemstone will glitter on her finger as she proudly shows off her ring and can match a favorite color, or her eyes. 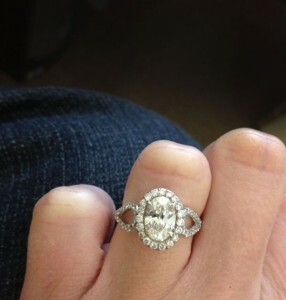 Unique settings include diamonds chips on the band and the stone in a prong setting. Some rings have diamonds that come up over part of the beautiful gemstone. 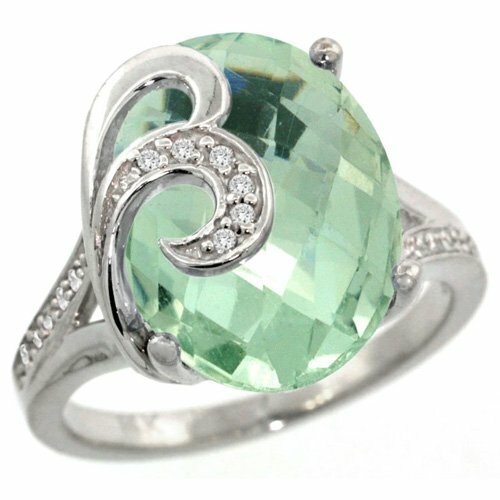 You can find rings with green amethyst stones in solid 14k yellow or white gold. 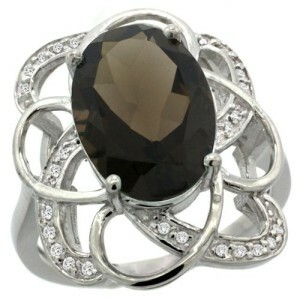 A startling dark brown smokey topaz is a truly unique choice for engagement rings. This fascinating gemstone will draw attention and your lady is sure to love it. You can find the gemstone with floral designs where, instead of a halo, some designs have graceful metal petals surrounding the center stone with accent diamonds in some of the petals. 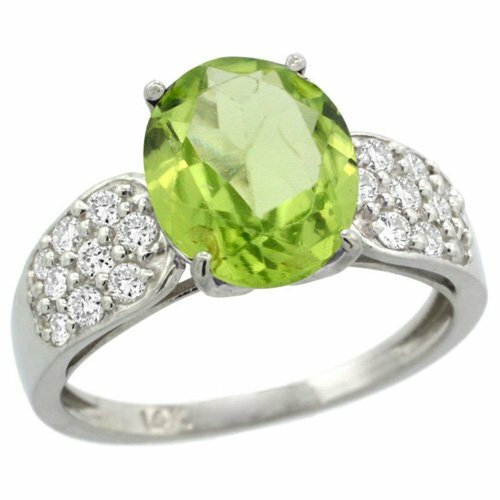 The vivid green of the peridot gemstone is a splendid choice for an oval engagement ring. You can find designs in yellow or white gold. Accent diamonds are on many of the designs. A simple design has the oval gemstone shining from the center of the band. Peridot is a beautiful birthstone, or perfect for anyone who likes the color green. An engagement ring in rose gold is a romantic choice and can include any of her favorite gemstones. 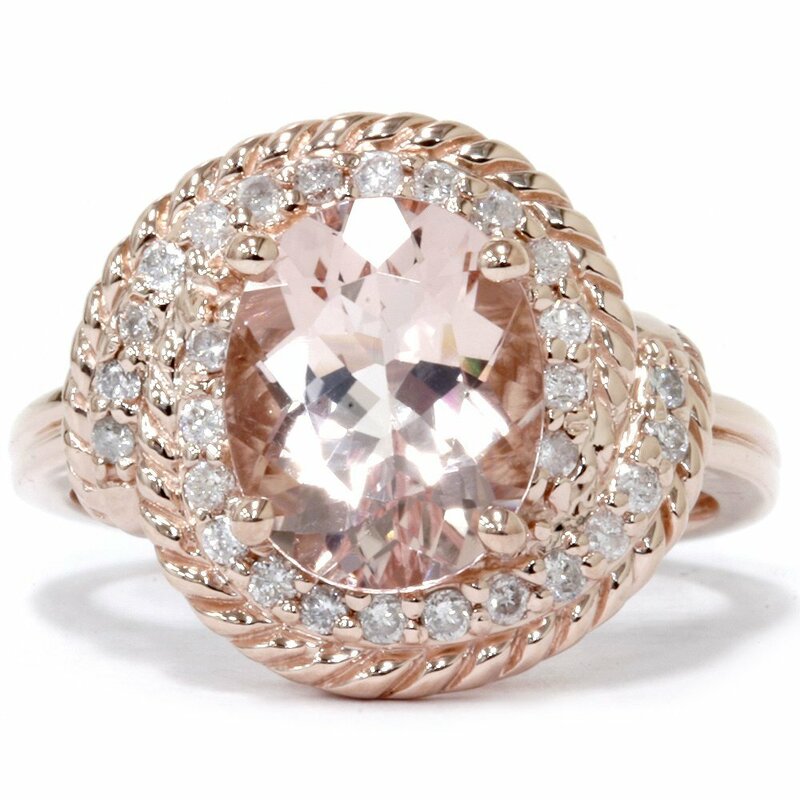 The warmth of the rose gold accents any gemstone and the pink is sure to make her heart flutter. You can find custom designs, vintage designs, and classic designs in 14k rose gold. The hint of pink in the bands will shimmer on any skin type. 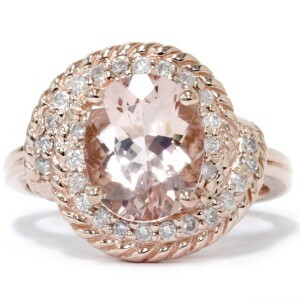 You can find rose gold oval engagement rings with round accent diamonds and braiding around the center oval stone. If you want a traditional diamond engagement ring, you can find a unique setting with a diamond. 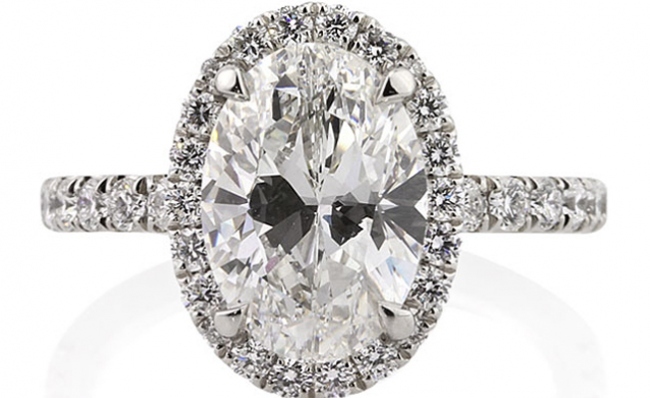 Some diamond rings have a double halo around the brilliant oval center diamond, often with a floating setting. The halos can have smaller, round accent diamonds. Bands can be slim and solid, or have an open look with accent diamonds. 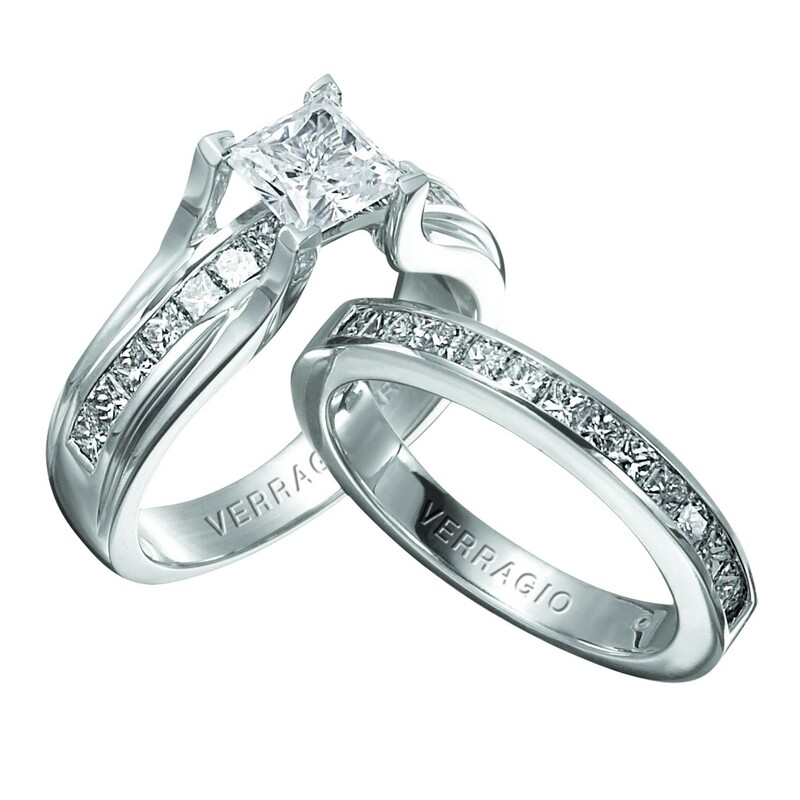 Unique diamond engagement rings come in 14k yellow or white gold.